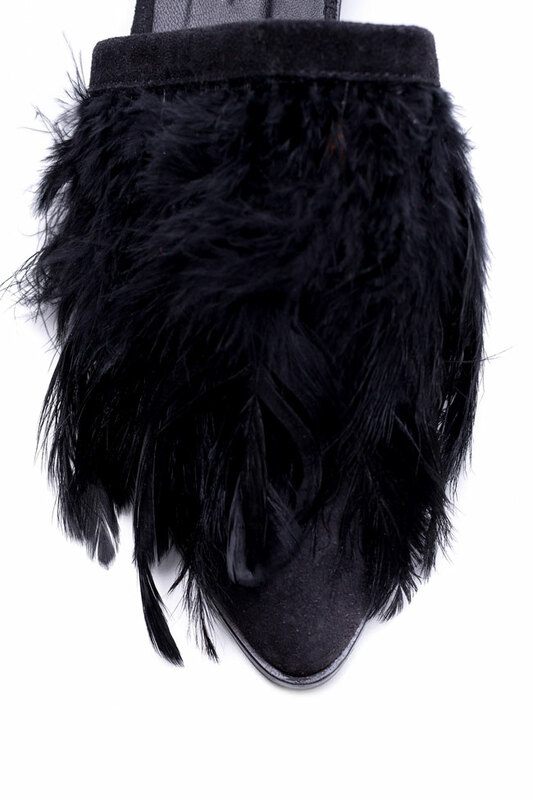 Ornate details and playful textures are Zenon signatures, especially when it comes to wispy feathers. 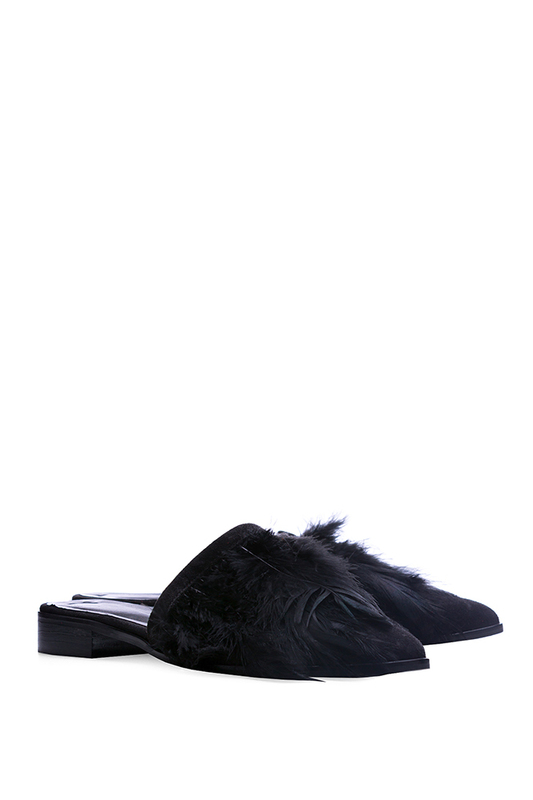 These slides are made from black suede and trimmed with black plumes. Style yours with everything from eclectic prints to cool neutrals.